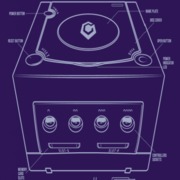 I want to use homebrew on my Gamecube and I have already action replay (newest version). Can I use the disc and only buy a SD adaptor to use homebrew instead of buying the SD Media Launcher? Yes, you can. Name swiss or any other homebrew autoexec.dol, put it on the SD and Action Replay will automatically launch the dol. Is it possible to choose between different dol files as in this picture or can I only use one with the name autoexec? I'm not sure if this adaptor will work. Can I use this adaptor or does it work only on Wii? You can put any dol file on the card, as long as you don't have an autoexec you'll get the menu. Or put Swiss as your autoexec and load subsequently dols from there. Streetwalker wrote: You can put any dol file on the card, as long as you don't have an autoexec you'll get the menu. Or put Swiss as your autoexec and load subsequently dols from there.